August 3, 2018 - Young mothers living at St. Ann’s and St. Ann’s Alum gathered on Thursday night for a spirited and informative family night event. The night featured Safe to Sleep, a Sudden Infant Death Syndrome (SIDS) Seminar/Workshop. 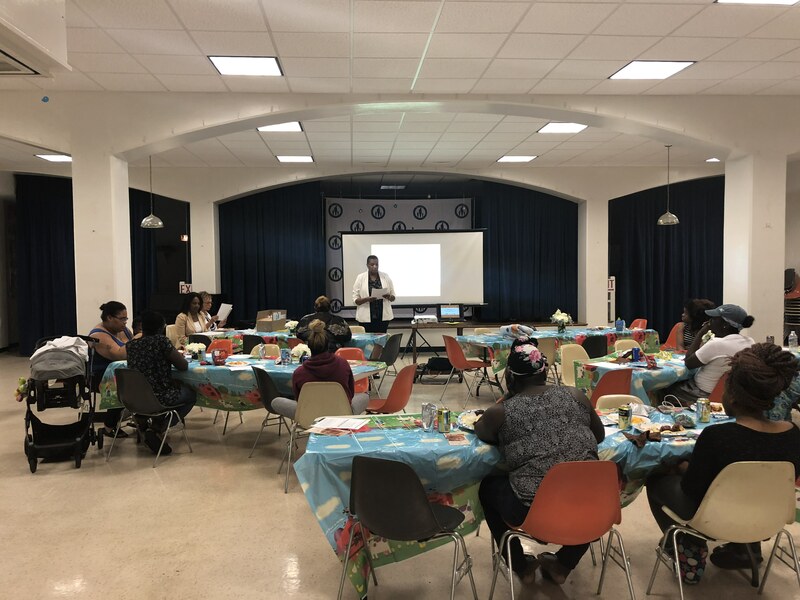 The seminar, hosted by the Kappa Safe Infant Sleep Community Engagement Project in partnership with the NIH, covered topics including what a safe sleep environment looks like, sleep-related causes of infant death, and ways to lower a baby’s risk of SIDS. Sharing the room with the baby, ideally for baby’s first year. The mothers were given the opportunity to test their knowledge of SIDS and share their safe sleep practices while learning about additional ways to care for their babies during sleep time. The night ended with each mother receiving new sleep items for their babies and back packs for each child for the upcoming school year.